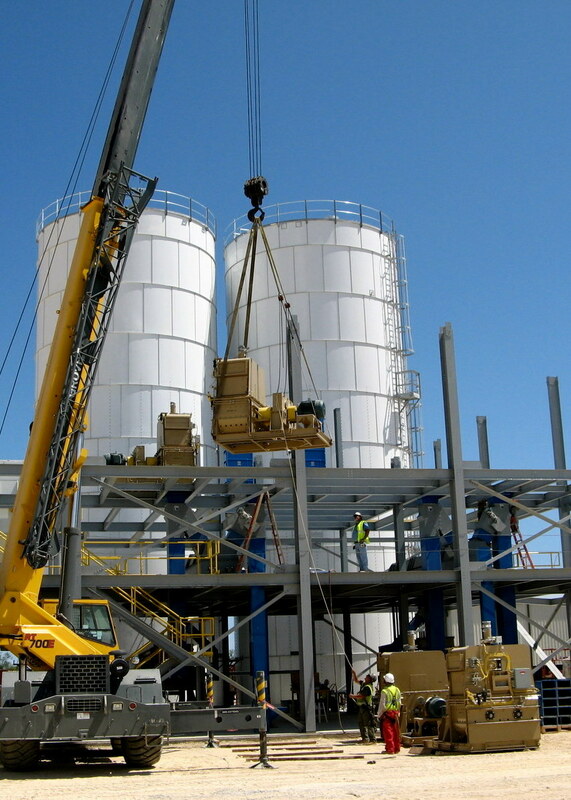 Frac Sand Resin Coating Facility Construction - Mouat, Inc. 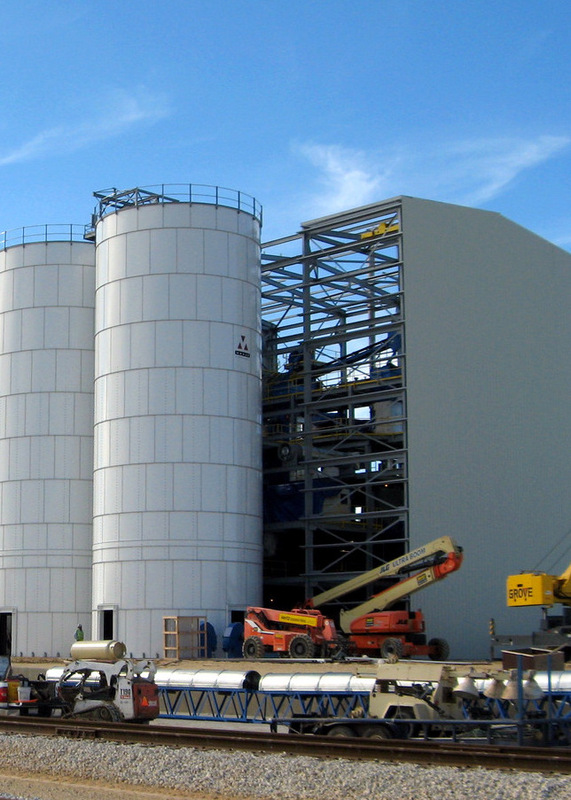 This turnkey, fully integrated, resin coated frac sand facility was built for the production of sand proppant servicing the Eagle Ford Shale Play. 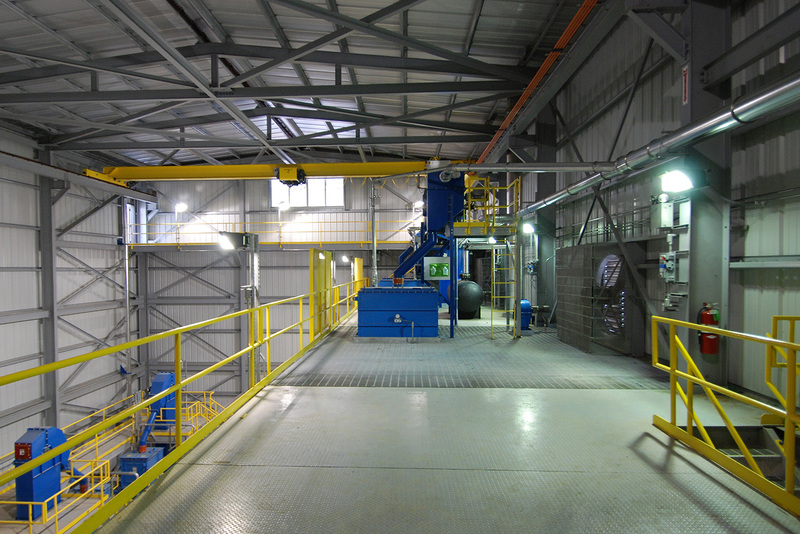 The facility set the standard within the industry in design and automation. The process flow was streamlined eliminating many operating units that are typically found in similar operations. 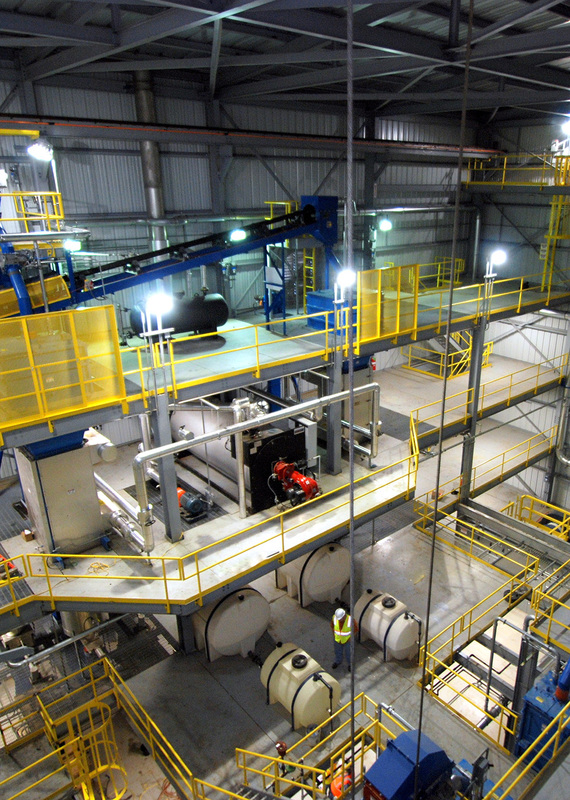 Starting with the customer’s requirements including site, product and production criteria, Mouat designed and built a highly integrated frac sand resin coating facility supporting a truck load-out system. Mouat was responsible for the complete facility design, project management, construction and startup of the facility. Responsibility for the design and fabrication of the process building and procurement of equipment was also included. The facility process design and control system highlighted precise control of all process variables including confirmation of variable status and trending analysis. The addition of sand, dry resin and other liquid additives were tightly controlled from the PLC program. Manual overrides were provided and changed if necessary from the HMI located in the control room for the facility. All systems were controlled from the control room by a technician, eliminating any need for manual additives on the main mixer deck.